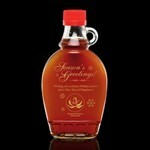 Our beautifully decorated bottles are filled with Pure Canadian maple syrup, and make a unique and truly memorable gift for all occasions. Deep-etched and hand painted. Custom hang-tags are available. 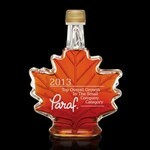 Personalize your Maple Syrup bottle with a special message. 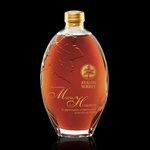 All pricing includes deep etch and single colorfill.